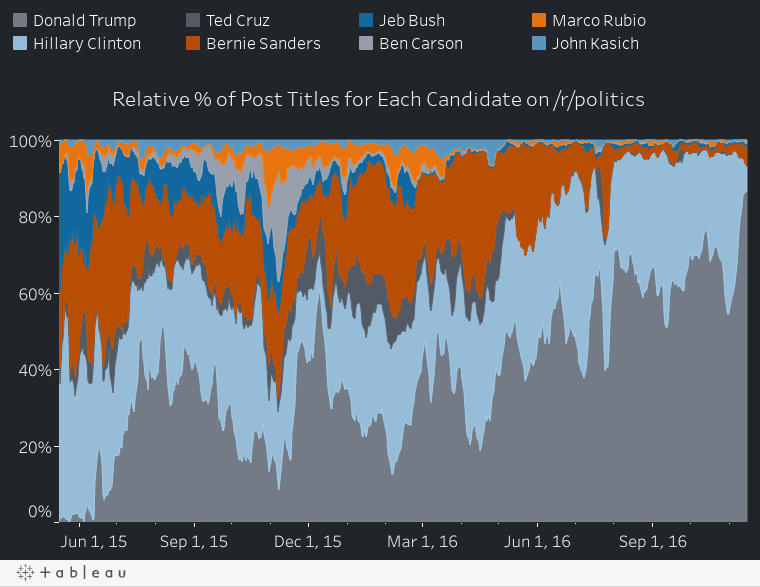 Which Candidates Were Most Talked About On /r/politics in the 2016 Election Cycle? 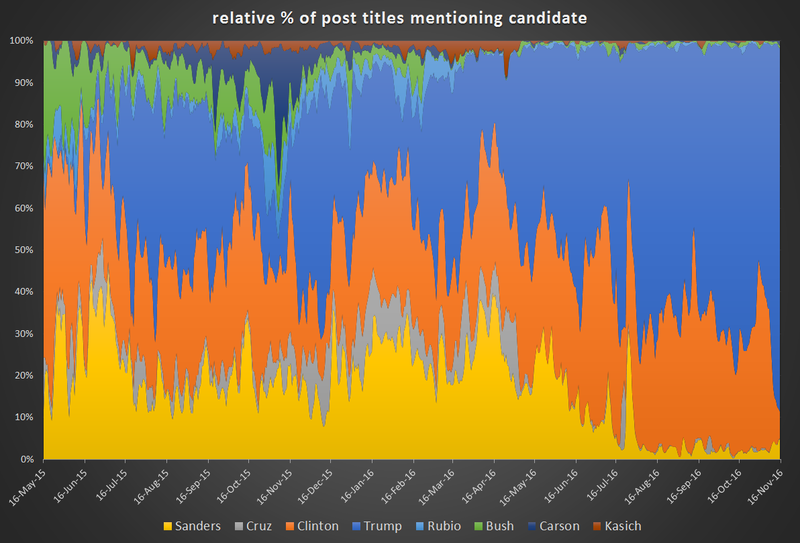 I ran this from May 16, 2015 to November 15, 2016, so roughly the 18-month election cycle and a short bit after it. 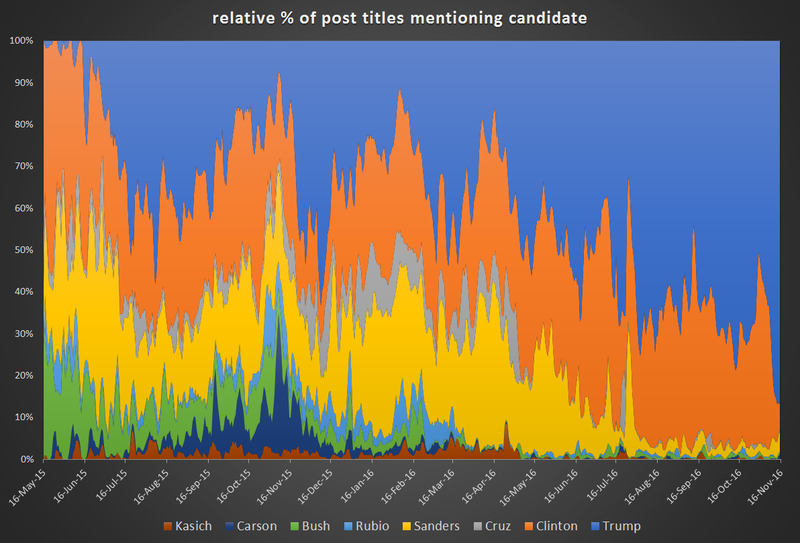 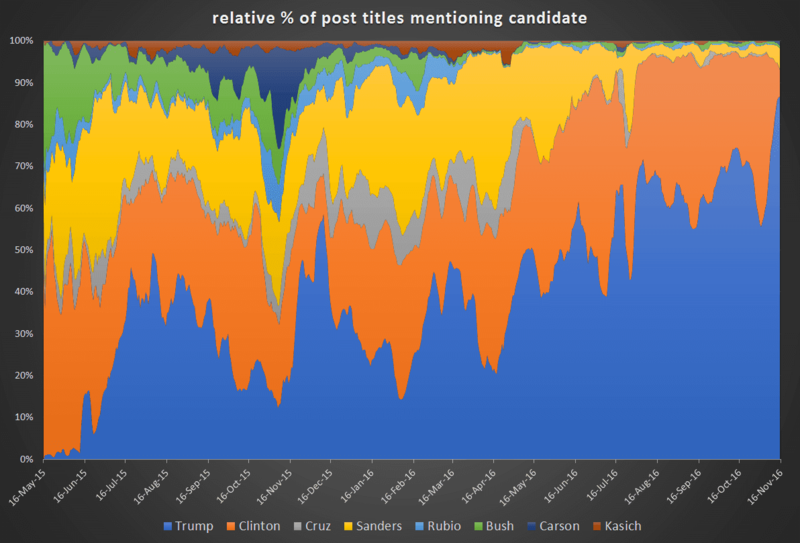 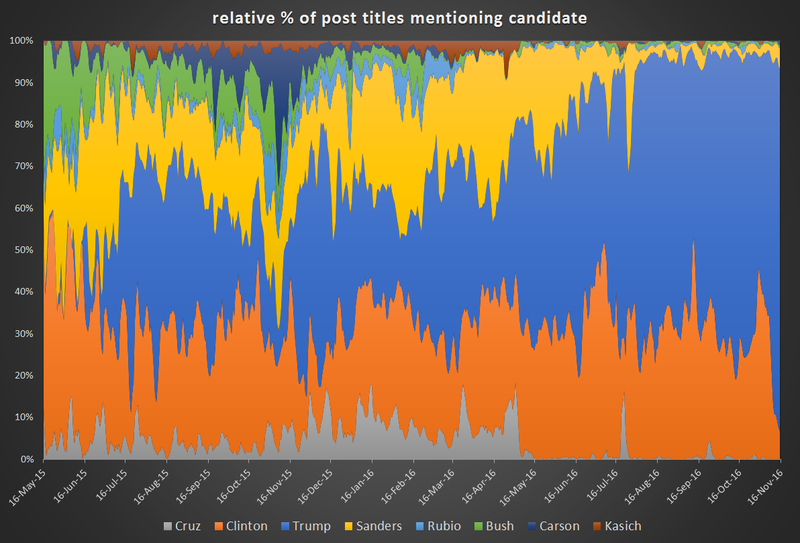 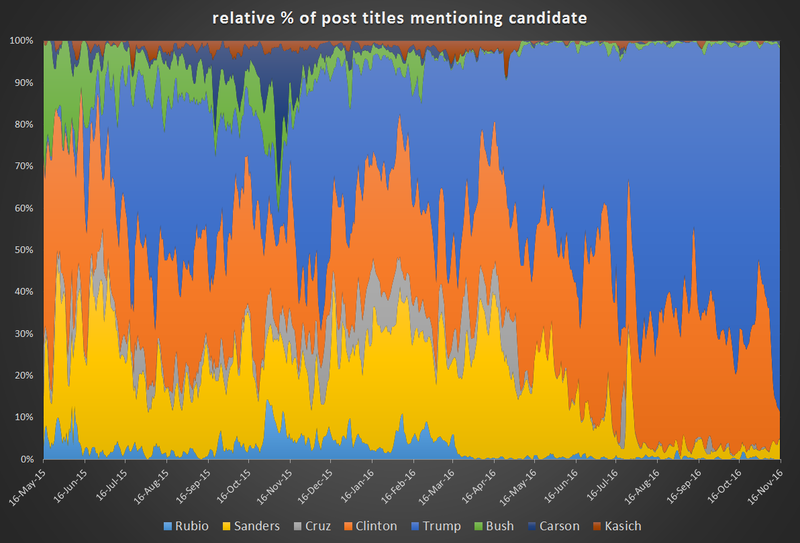 The static image at the top is the relative share of the mentions that each candidate received with a 5-day filter applied to the mentions. Note that this isn't the % of all posts...this is the % of all candidate mentions in post titles that went to each candidate. 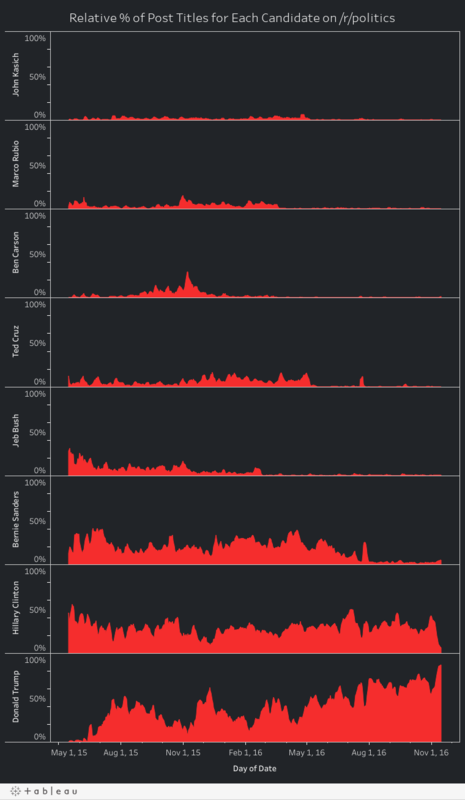 To get a better feel for the general trend, I like applying more filtering, so below is the same plot with a bunch of different time filters applied to it. 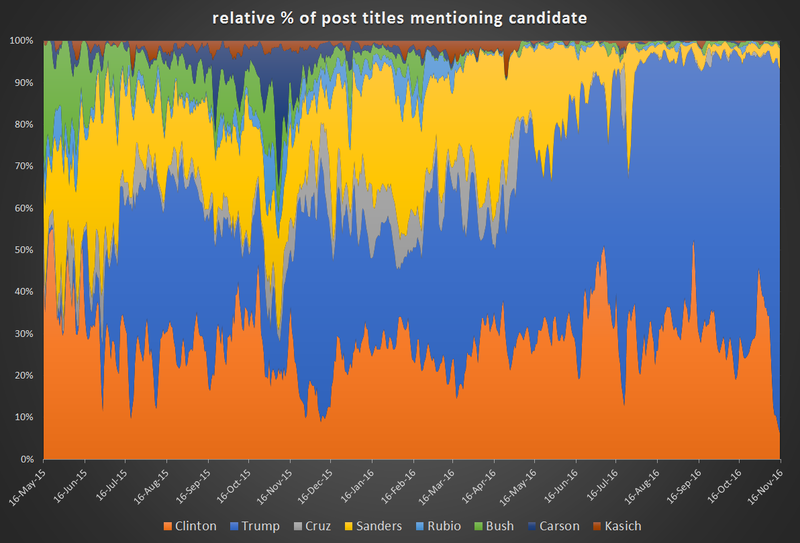 This is the view that makes it easiest to see each candidate dropping out of the race. 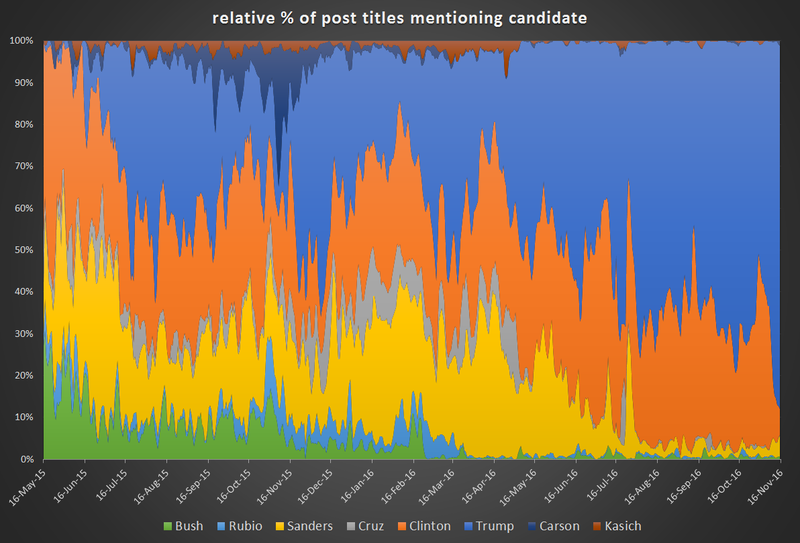 Check out the GOP candidates in the spring of 2016, Sanders in June, etc. You can also see interesting bits like Cruz being flat and then spiking massively during the Republican National Convention (near July 20, 2016), a similar spike for the Democratic National Convention for Bernie (near July 25, 2016), etc. I'm guessing these don't play a huge role, and the fact that Bush drops out after he dropped out of the election, Trump's major controversial statements show spikes within a couple of days, etc. 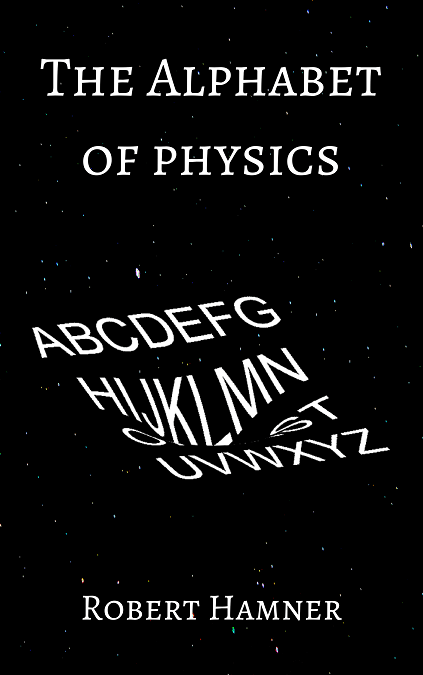 means this passes simple sanity checks.